Reward cards will be issued to each club member who helps. Points can be redeemed for entry to training days and competitions. You will be given the option on entry forms if points are redeemable for that particular event. Supporter members are able to earn reward points and can nominate a rider member who can redeem them for entry to events. 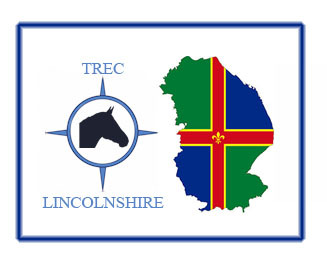 If you are able to help at an event please complete the membership form to join Trec Lincolnshire as a supporter member. 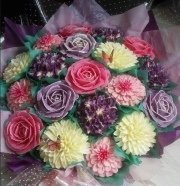 PLUS Reward Points Raffle – generously sponsored by Floral Cupcake Bouquets Every reward point earns you a raffle ticket. 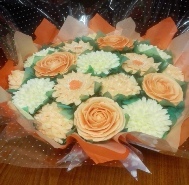 The raffle for a fabulous 19 cupcake bouquet will be drawn at the AGM. 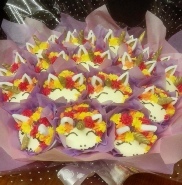 The winner, or the supporter member’s nominated rider, MUST be present at the AGM otherwise the ticket will be re-drawn.